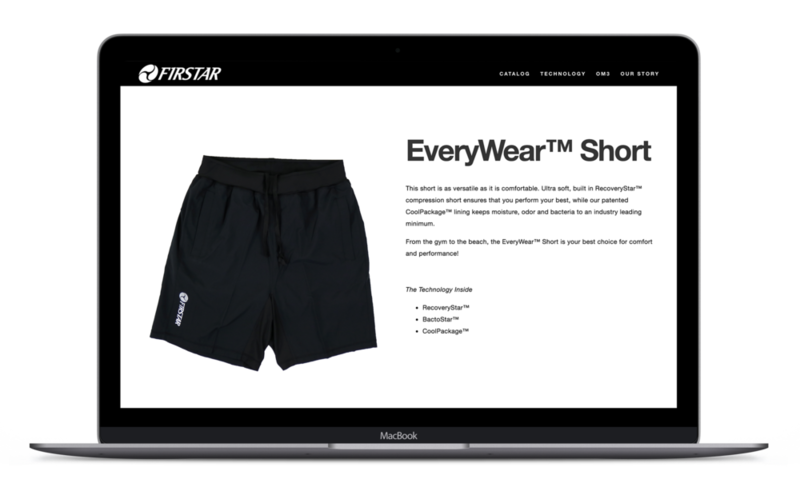 Firstar is a sports garment and accessory brand with a primary focus in the hockey industry. 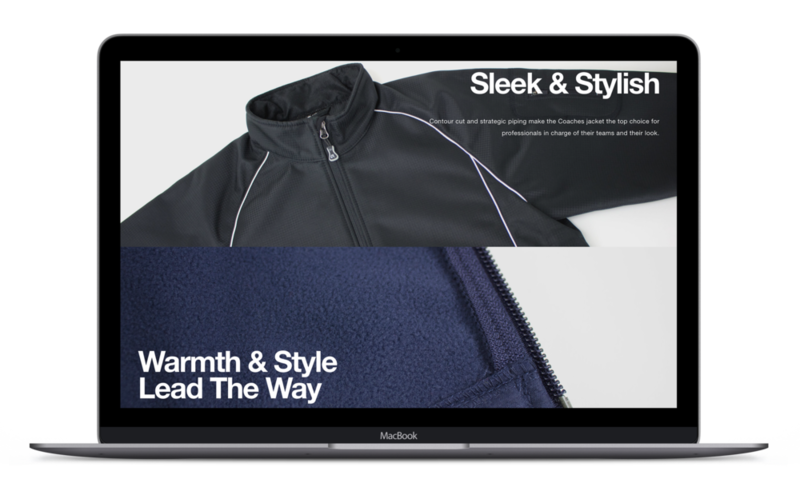 Wholesale Sports Inc acquired Firstar Sports in April 2017, between then and August 2017 I co-managed a major brand refresh and relaunch. In that time I was tasked with updating all products during the shift to our overseas production factories, communicating with the factories on all products and assuring they met company standards and specs including hitting projected margins, photographing all new product for web and print, designing catalog and all accompanying sales collateral, and designing the website. The Firstar Sports website is a direct representation of the brand and it's catalog of products. The entire line for 2018 was new product and a new platform to display the relaunch was a necessity. All photos (lifestyle and product) were new and were taken specifically for the website and catalog. With the brand relaunch there were to be three tiers of jerseys, the highest of which would be called GameWear Jerseys. For the first order of these new jerseys I was tasked with choosing the first ten that we would produce. It was important to give the possibility for all ten teams to be able to coexist in a league together without the need for home and away jerseys. These ten jerseys were all based on various NHL jerseys from the past and then reworked to fit onto our new jersey templates. The USD Tereros reached out to Firstar wanting to do some custom jerseys for their upcoming season. They provided their logo, a rough jersey mockup and the date of their first game to have them by. 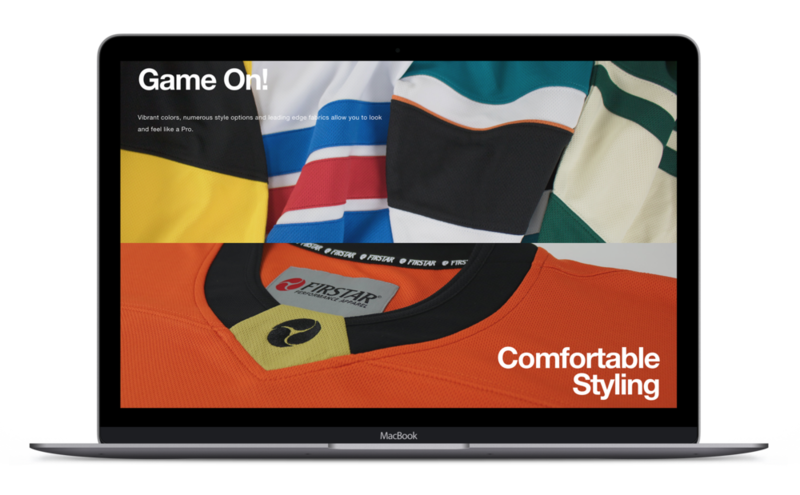 I worked directly with our production factory overseas and our domestic jersey customizing partner to create something that stood out on the ice and represented the team and San Diego. Above is the team photo taken before their first game of the season. The Firstar Catalog for the 2018 Collection is much like the Website, giving the product a platform to show and speak for itself.